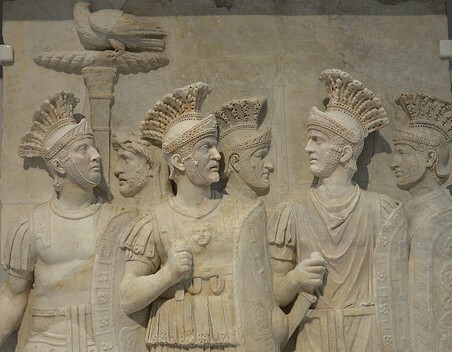 After Pertinax’s death, each of the two candidates for the throne shouted out how much money they were willing to give each guardsman should they be chosen as emperor. On this day in 193 the Praetorian Guard murdered Roman emperor Pertinax and proceeded to auction off the imperial position. This happened only three months after the events depicted in the Academy Award-winning move Gladiator (2000). Emperor Commodus, whose death is inaccurately depicted in the movie, was succeeded by Pertinax, who was serving as the urban prefect until that time. His reign lasted only around three months before he was killed. 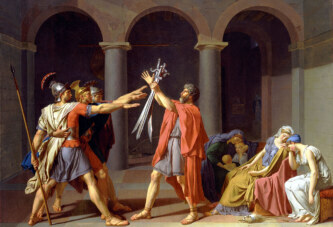 After Pertinax’s death, each of the two candidates for the throne shouted out how much money they were willing to give each guardsman should they be chosen as emperor. The two candidates were Senator Didius Julianus and Pertinax’s father-in-law Titus Flavius Claudius Sulpicianus. At that time the Praetorian Guard were so powerful that they could de facto install and remove emperors at will. Didius Julianu offered 25,000 sesterces to each Guardsman and Sulpicianus only 20,000, so the Guardsmen chose him as the next emperor. There were a total of five emperors in the year following Commodus’s death.